UPDATE - Spring 2019 Invasive Plant Treatment Information: Arlington County contractors will be treating Lesser Celandine and other target invasive plant species along Four Mile Run in Jennie Dean Park. Depending on weather conditions, treatment is expected to begin during the week of Monday, March 18. The areas treated with herbicide will have signs posted to notify park users. Questions? Contact Sarah Archer at 703-228-1862. 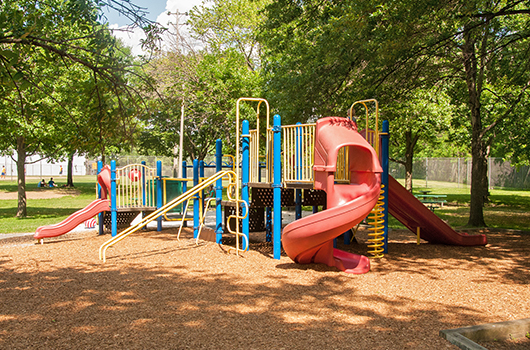 This comprehensive 12-acre park is packed with everything you could want in a park. 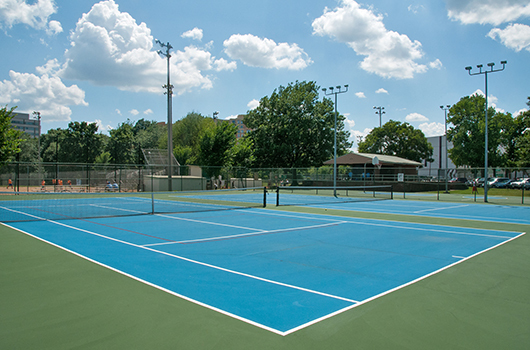 Enjoy a meal under the picnic shelter, let the kids romp in the playground, play baseball or softball on the two baseball/softball fields (permit takes priority), practice your backhand on the two lighted tennis courts, shoot some free-throws on the lighted basketball court or run around in the open drop-in field. 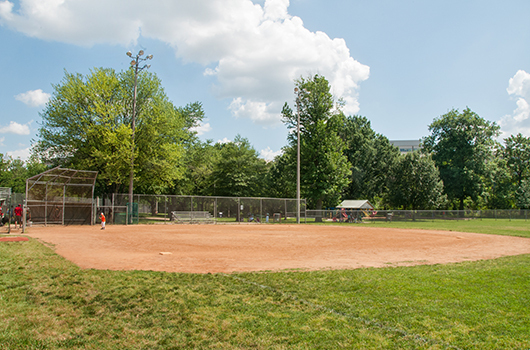 It is adjacent to Shirlington Park and Shirlington Dog Park. Find out if your dog should play in the stream. The location honors Jennie Serepta Dean (1848–1913), founder of the Manassas Industrial School for Colored Youth. 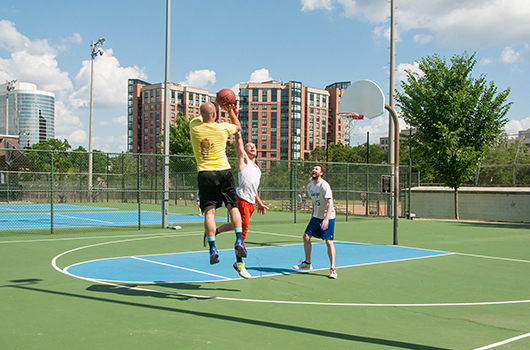 Jennie Dean Park is part of the Four Mile Run Valley Initiative, a coordinated effort to shape the area in the southern end of Nauck, adjacent to Shirlington Village along Four Mile Run Stream. 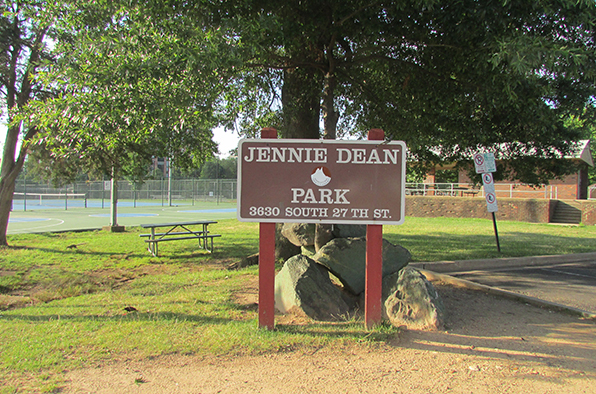 Learn about the Jennie Dean Park Project and sign up for updates here. Learn more about 4MRV here.